After a short break, work on the dockside turntable is now in full swing. 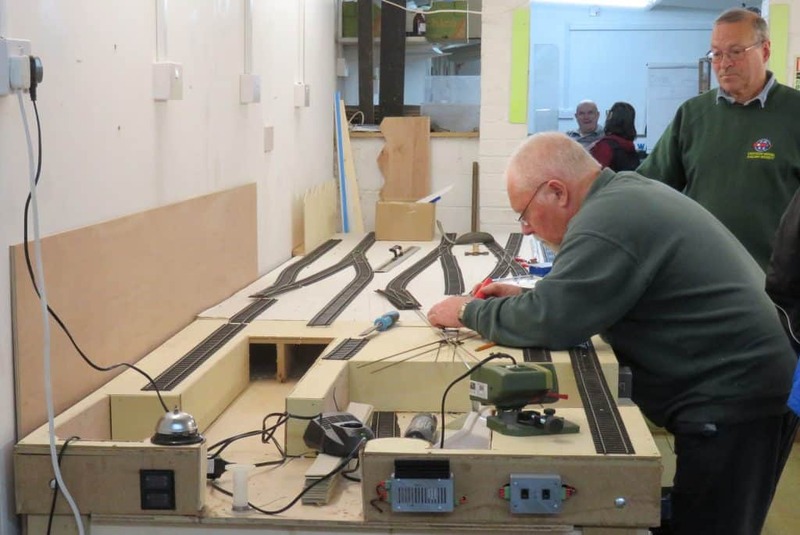 Dave and Malcolm are scratch building the trackwork in this section. 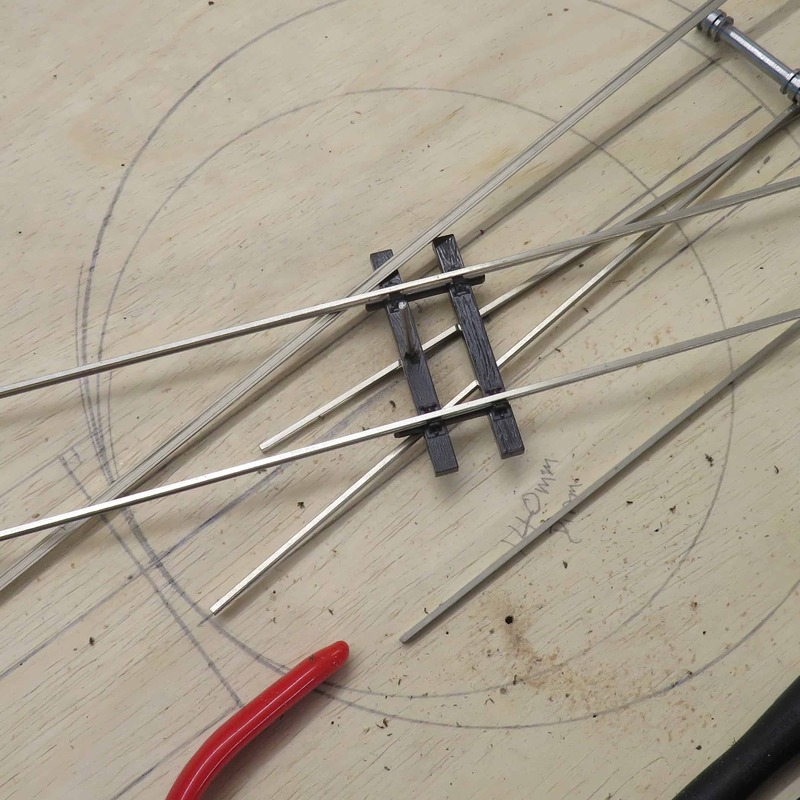 Alignment around the centre pin of the turntable is critical. The plan for the rest of the track has also been adjusted and a number of points are to be repositioned. The positioning of the layout has created some challenges, not lease the construction of the backscene which will be a row of warehouses. A nine inch clip on section is to be added which will also allow some of the track to be better positioned. Some months ago a small mimic panel was put in a ground frame hut (signal box to ignoramuses like me). 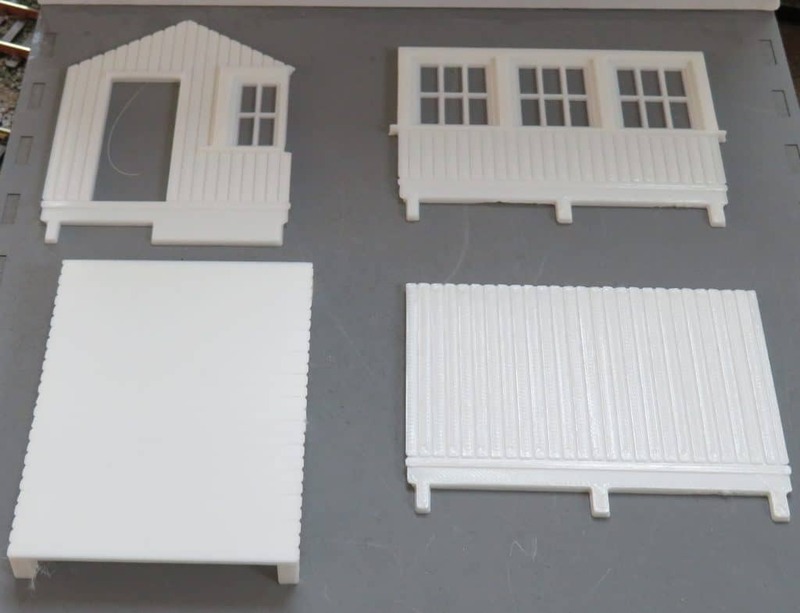 In order to extend the concept a larger hut is being produced on a 3D printer. So far, the floor and three of the sides have been completed. Although the finish is not as good as commercially available kits, parts can be reprinted to accommodate changes in the mimic panel and allow failed prototypes to be discarded without guilt.